I was at a travel bloggers’ conference in Cape Town the other day, my fasting made conspicuous by the unsullied swath of tablecloth before me while my companions ate lunch. “Oh, of course, it’s Ramadan,” one said when I explained. “How’s that going for you? Must be tough,” remarked another. I awaited the flurry of questions I usually field back home: “What’s that? How does it work? You don’t eat for a whole month? Not even water?! ?” The barrage never came. Last week, I was interviewing a prominent executive at a café. 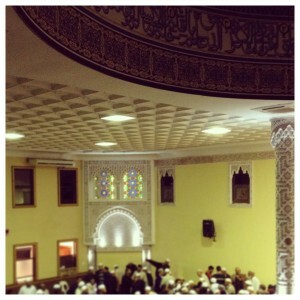 As we sat down, he paused — “It’s Ramadan, isn’t it?” he asked. “Are you fasting?” I hadn’t even mentioned I was Muslim. 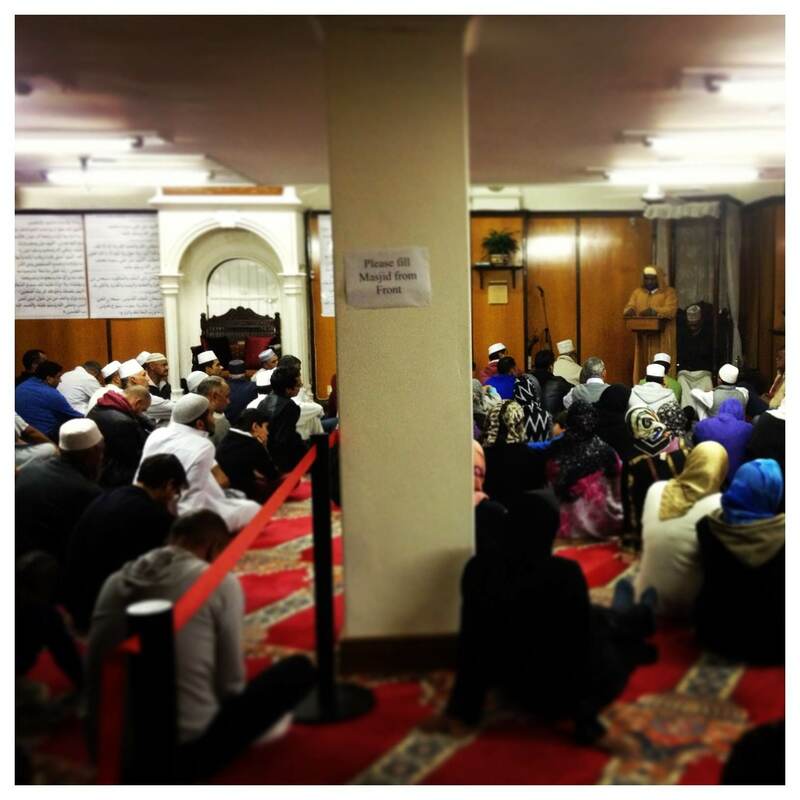 Just like in the States, Muslims in South Africa comprise a tiny minority—about 2 percent of the population, I’m told. 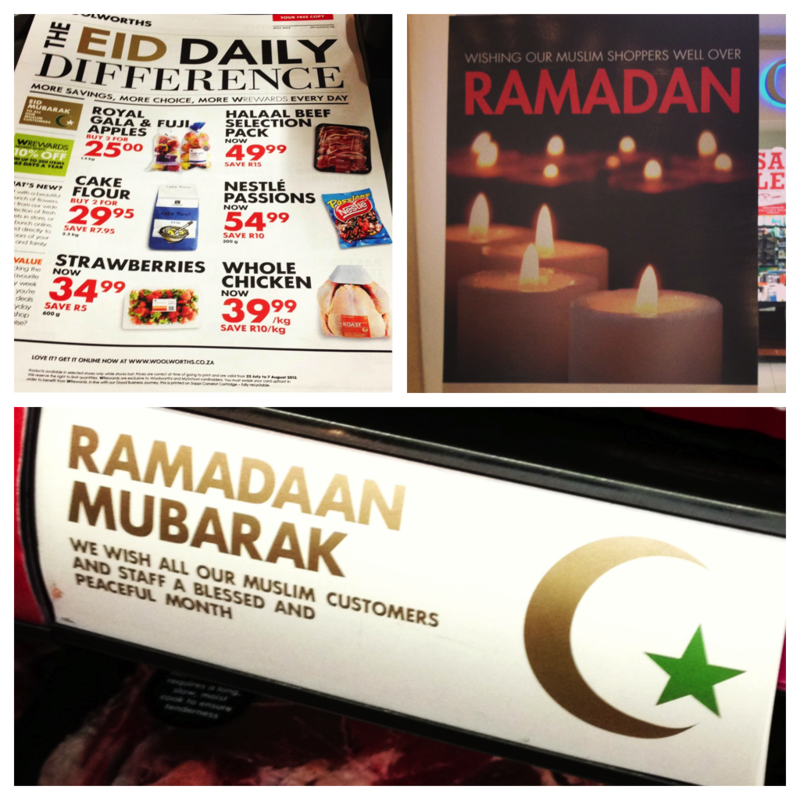 But you’d never guess it, with the Ramadan Mubarak signs in the shops, the Eid edition of the local grocery store sales circular, the prayer rooms in most of the malls, and the ubiquitous “halal” certificates on display almost every restaurant, from fast-food joints to posh steakhouses. The whole nation is so respectful of the Muslim Holy Month — which requires abstaining from all food and drink during daylight hours — that sometimes I feel like I’m in a Muslim country. Ramadan is a great window into any local Muslim community, and my first Ramadan here has been a revelation. There are some obvious perks to swapping hemispheres just before the Holy Month: the days are less than 12 hours, and since it’s winter here, the weather has been cool. It’s literally and figuratively a world away from the 17-hour fasts my family and friends on the East Coast have endured under sweltering heat waves. But there’s also an added layer of comfort that comes with knowing that the general population is already familiar with the concept, and you never really have to explain yourself. Islam first came to this far-flung tip of the African continent in the 1600’s with Indonesian political exiles from the Dutch colonies in the east, then with the Muslim slaves that were imported from that region; their descendants make up the Cape Malay community. The other big component comes in the form of Indians, many of whom have been here since the 1800’s. There is also a growing number of recent immigrants from the rest of Africa. 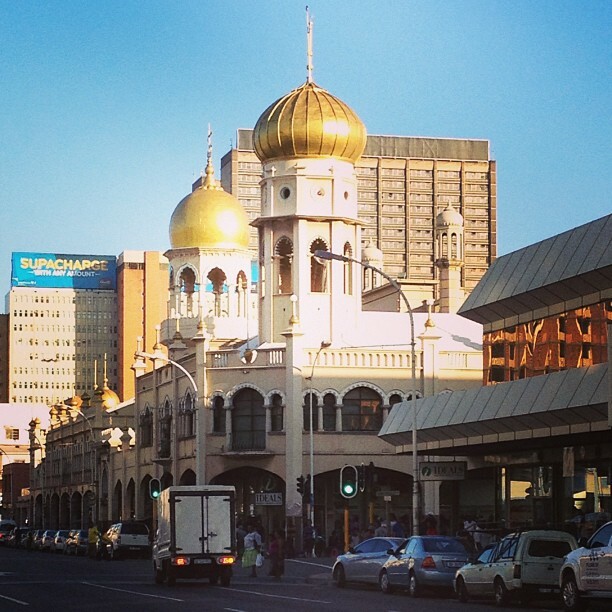 Though much of South Africa’s Muslim community is removed from their origins by many generations, religion remains a major component of their life — likely a product of apartheid, when the population was divided into White, Black, Coloured, and Indian, keeping the communities completely segregated. But Muslims have always been very politically active, and have become an influential part of South African life post-apartheid. 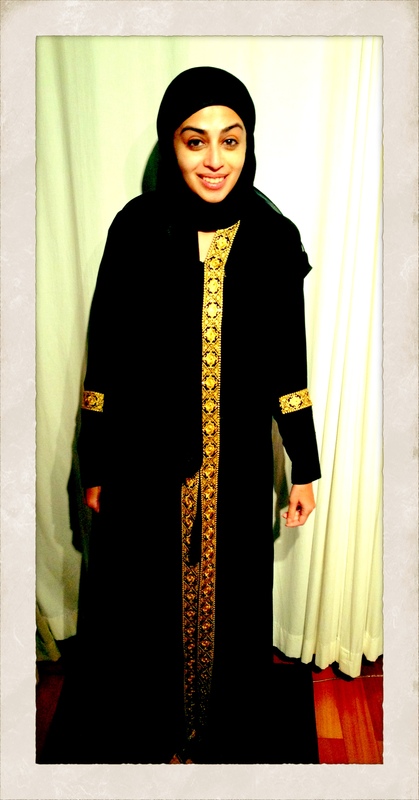 Rocking one of my new abayas—how do I look? 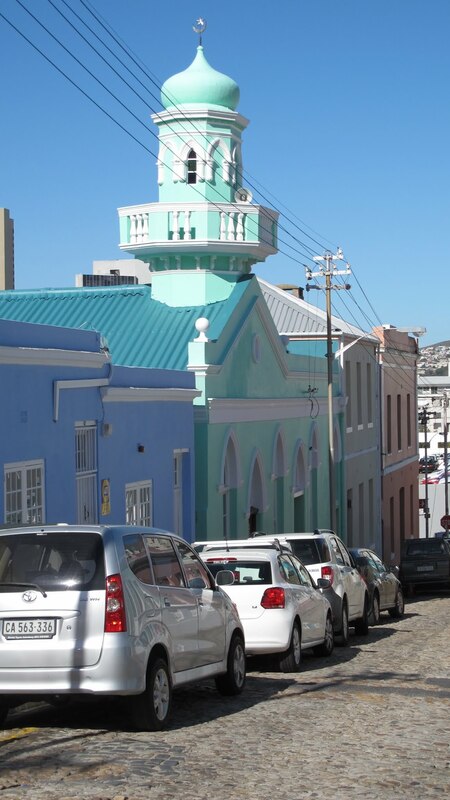 The mix of mosques has also been fascinating for me, ranging from the more conservative masajid in Durban that don’t have women’s facilities to the über-progressive Claremont Main Road Mosque near where I live, where the women pray to the right of the men, not behind them. But the highlight of Ramadan, for a carnivorous glutton like myself, is the magnificent iftar (fast-breaking) spreads I’ve feasted on night after night. Yes, the samosa pastries I’ve grown up on are standard, but there are also divine steak pies, chicken-filled croissants, stuffed naan flatbreads, spicy prawn-and-mash cutlets, potato-and-minced-beef fritters, and so much more, with nary a pakora or fruit chaat or dahi vada—the vegetarian-heavy standards in many Indian/Pakistani homes—in sight. For a confirmed carnivore like myself, that’s a definite plus: why waste those critical calories on vegetables? And since the late-night taraweeh prayers are over by 8:30, the convivial ambience thrives late into the night with post-mosque dessert parties and gatherings. 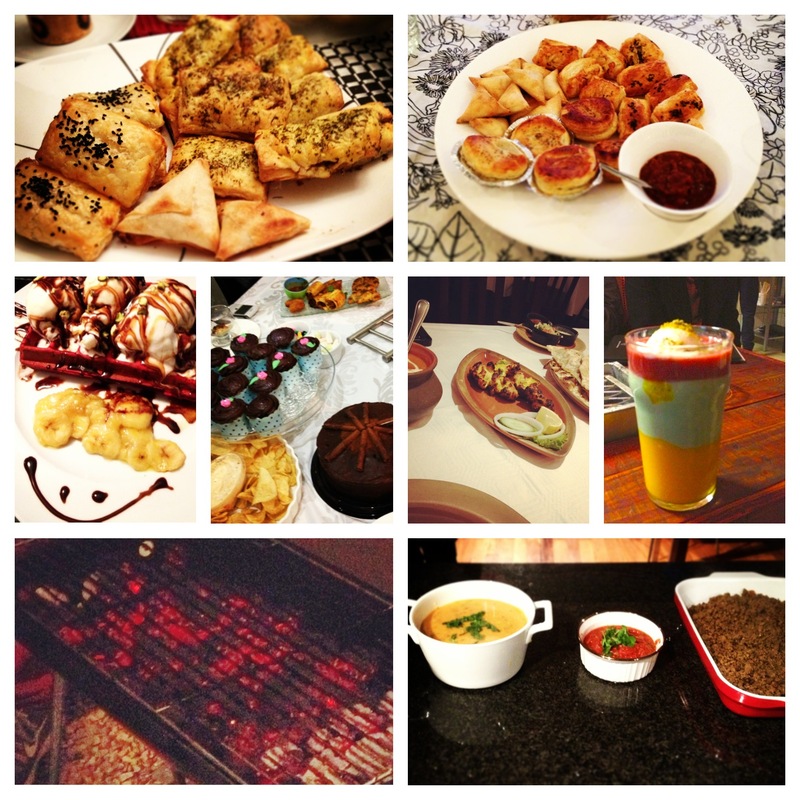 It’s safe to say I’ve picked up a few pounds this Ramadan. An early Eid Mubarak to you all! I really like this post, it speaks to how diverse and accepting South Africans are of other cultures. Happy Eid to you. I’ll be in Pretoria & Joburg this weekend so would be cool to meet up if you’re not too busy with the family. Lovely post. I’m a born&raised Jhb girl, now living in Durbs, thanks to hubby’s background. We always speak of relocating to CT to experience a ‘Cape’ Islam.